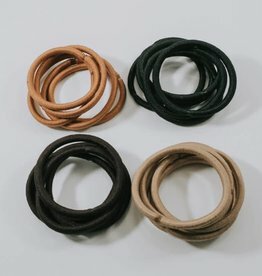 Good quality hair elastics available in four colours. No metal. 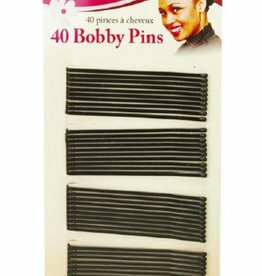 Stretch ponytail holder wraps around the ponytail elastic to give full coverage. Beautiful AB stones on a secure hair elastic. 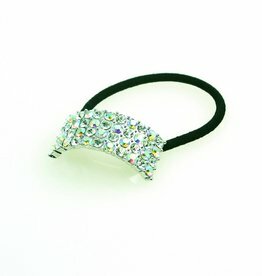 AB stone ponytail holder is a bestseller for competitive dance season. AB stones sparkle with an iridescent multi-colour shine. 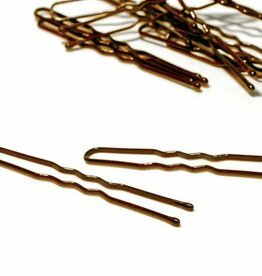 Bobby pins for keeping a dancer's hair neat and tidy. Gold colour for blonde to medium brown hair. 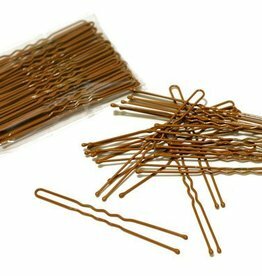 Comes in 60/pkg. 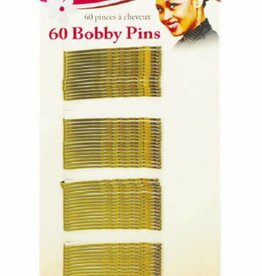 A dancer can never have enough bobby pins! 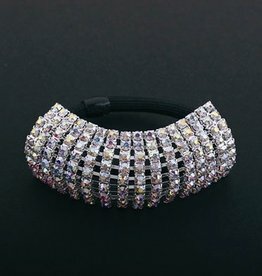 Crystal ponytail holder with elastic band. 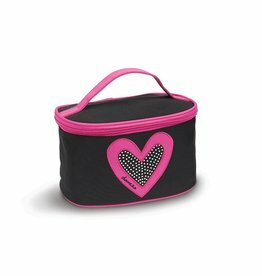 Bestseller during dance competition season. 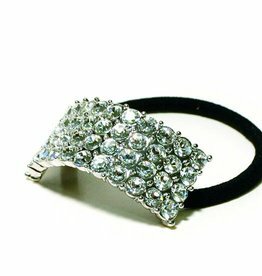 Adds the right amount of secure bling during a performance!